The campaign aims to bring cleaner, safer water to six remote villages. For most of us, water is accessible with the simple turn of a faucet. But this is not the case for rural folk who have to carry water from wells or rivers located far from their homes. Apart from the backbreaking work of ferrying filled cans on multiple trips a day, the water is often susceptible to contamination as it is usually from open water sources that are vulnerable to animal activity or mud and other pollutants during floods. In an effort to alleviate the water woes that have long plagued rural communities, skincare brand Laneige partnered the Global Peace Foundation Malaysia (GPF), the local chapter of an international non-profit organisation, for the third time for its Waterful Sharing Campaign. 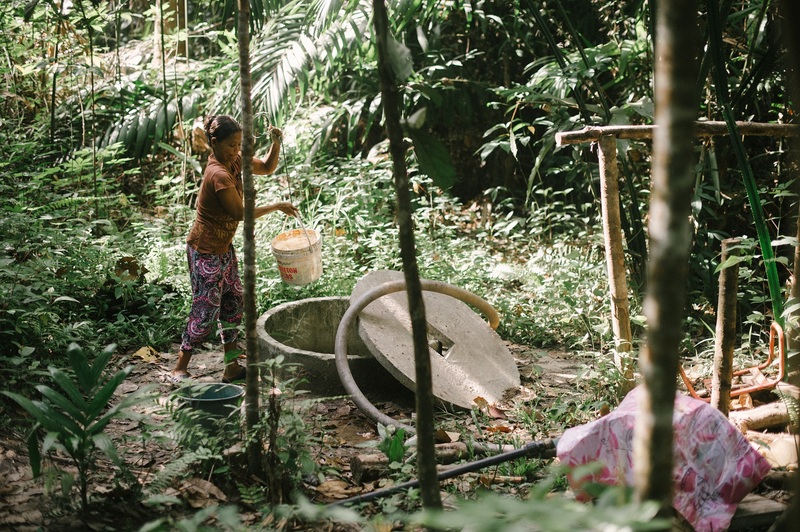 Now in its fifth installation, the campaign aims to bring cleaner, safer water to six remote villages (with 770 residents from 114 homes) — Kampung Ulu Kampar in Perak and Kampung Pecah Bateri, Kampung Gong, Kampung Batu Gong, Kampung Paluh and Kampung Cerampak in Pahang. Globally, an estimated 783 million people do not have access to clean and safe water and a child dies of water-related illness every 21 seconds. While similar statistics may not be available locally, says GPF CEO Dr Teh Su Thye, infant mortality rates are high in these areas, which also have a history of leptospirosis (commonly caused by rat urine contamination). Skin conditions are also prevalent due to bathing in unclean ponds and rivers. The laborious nature of carrying filled containers to homes means water is a precious commodity, hence, its usage is kept at a minimum, at times compromising hygiene. 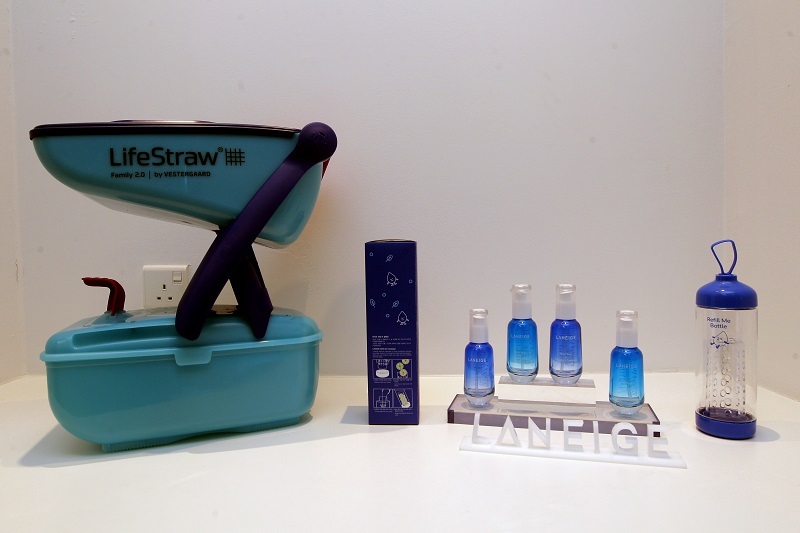 To address the problem, each household will receive a portable unit, known as the LifeStraw Family 2.0. Laneige brand general manager Foong Winnie explains that while the people of some villages located a distance from the nearest water source may still have to carry water home, this device will help them have cleaner and safer water. “For Laneige, water is the core of the brand. Every product has a water element and the name itself means ‘snow’ in French (La Neige). We always talk about hydration and water as the fundamentals of our make-up,” she says on the brand’s choice of a water-related corporate social responsibility initiative. The campaign leverages the strengths of both organisations — the consumer base of Laneige’s bestselling Water Bank Essence and GPF’s extensive experience of interacting with the said communities, hence, acquiring an understanding of their needs. “The brand hopes to do its bit to promote awareness that there is another section of society that needs our help. After all, there are so many consumers using our brand and it does not cost them more [to contribute],” says Foong. As a token of appreciation, customers will receive a refillable bottle for their pledge. As at end-June, half of the targeted RM80,000 had been raised. The handover of the devices has also commenced. According to GPF’s Teh, the organisation has been working with the Orang Asli community for about seven years now, believing “they are the most underserved and marginalised in Malaysia”. Sometimes, GPF reaches out to them through other non-governmental organisations as these interactions are based on trust between the parties. “Some Orang Asli are sceptical due to bad experiences in the past,” he explains. Besides that, they can be difficult to locate. “We work with the bottom 20% whose basic needs are not taken care of — no treated piped water, no electricity, houses have no toilets, hygiene is very poor and no proper nutrition,” says the leadership coach and intercultural expert with 17 years of experience working with youth across Asia-Pacific. While the nomadic lifestyle of some communities poses a challenge for the authorities to install amenities such as piped water and electricity, Teh says there have also been instances where the accommodation provided to the Orang Asli community is not suitable as they depend on farming for their livelihood. But the campaign does not end with the handing over of the filtration devices as education is imperative to ensure long-term impact. This includes promoting awareness of proper hand-washing techniques and toilet habits, especially for communities that still practise open defaecation. “We go back to the villages, talk to the mothers and they are very happy with it. The children are getting more hydration and there have been fewer diarrhoea cases and less skin rashes as babies are also showered with clean water,” Teh says on the notable benefits of the initiative. Each household will receive a unit of the World Health Organization-approved, Swiss-designed filtration device known as LifeStraw Family 2.0. Chosen upon taking the water turbidity into consideration, it operates on a hollow fibre microfiltration system. Global Peace Foundation Malaysia CEO Dr Teh Su Thye explains how it works: “Its membrane has small pores and this technology has 0.02 microns, which will filter viruses, bacteria, protozoa and particles in the water but would allow minerals and molecules to pass through.” Each device can store six litres of water and filter up to 50 litres per day. A simple backwash system maintains its cleanliness. This article first appeared on July 23, 2018 in The Edge Malaysia.